Our skin contains oil glands which are responsible for maintaining its oil balance. Also, there are pores which maintain its proper elimination when required. Now when these pores get blocked due to various reasons, there is formation of pus, pimples or acne (acne vulgaris). These skin pores usually are blocked by dust accumulation, excessive oil secretion, skin infections, hormonal imbalance etc. It is obvious that in order to reduce or treat acne formation you will have to reduce the reasons for its development. 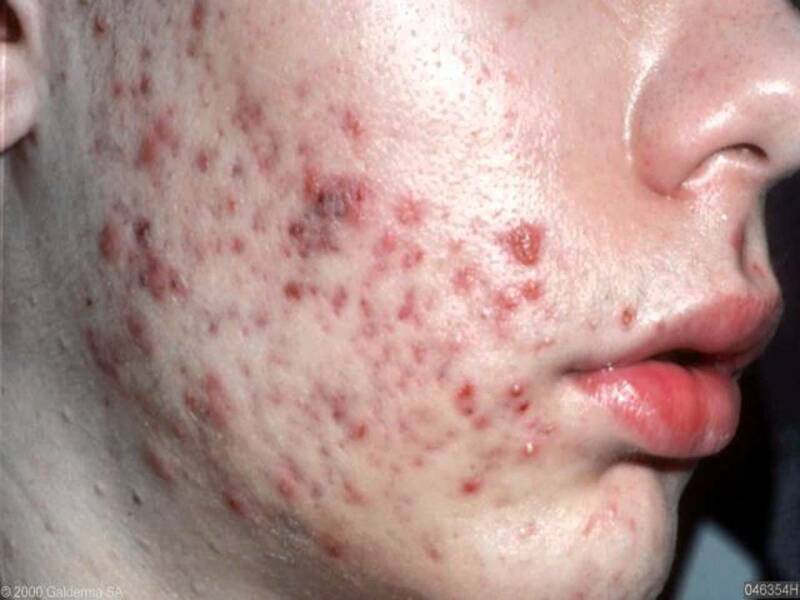 Now we know the basic reasons for acne development, let us have a look at the various natural ways to treat acne. Azadirachta indica and Basil both are excellent antibacterial and anti-fungal agents. A paste made up of these agents when applied on the pimple and left overnight, removes the bacteria causing infection. Regular application prevents recurrence of acne and is also known to reduce blemishes and marks of pimples. Aloe vera which is obtained from a fresh stem by simply cutting off a piece acts as a natural skin coolant. It reduces inflammation and pus cause due to acne development. Many cosmetic products for reducing acne also contain aloe vera. You must apply this gel for about 2-3 times a day regularly for best results. Turmeric or haldi is again an anti bacterial and anti-infective agent. The best way of applying turmeric for pimple treatment is to make a paste using oil, water or rose water and apply on the affected regions. You can leave this paste on the affected area overnight for maximum benefits. Multani mitti has great adsorbent properties. This means that it can soak the extra oil and pus from the skin. You can make a thick paste of multani mitti and rose water, apply it on the affected region and let it dry. While the paste is completely dried off it starts the process of adsorption. This helps in drying of the outbursts of acne. You can add a pinch of turmeric to this paste also. Mint (peppermint leaves) has two main properties for eliminating acne; it is anti-bacterial and it is a natural skin coolant. These properties in conjunction are effective for acne reduction. Orange peel powder which can form a great skin scrub acts as a skin exfoliant and opens the clogged pores. This indirectly reduces the frequent recurrence of acne. This scrub is best against blackheads which affects the overall skin appearance. Lemon juice and vinegar (especially apple cider vinegar) are again antibacterial and anti infective agents). These agents can be simply applied on the affected area using a cotton ball. Calamine is an adsorbent with similar properties like fuller’s earth. It is also known to absorb excess oil from skin and acts against black heads. You must make a habit of using calamine lotion for regular use. Soda which is called sodium bicarbonate scientifically is an anti-infective agent. This means it will prevent skin infections and reduce acne. Soda is also effective in reducing skin inflammation caused due to infection. You can add 1-2 drops of water to a teaspoon of soda, make a paste and apply specifically on the acne. Garlic is anti bacterial in nature. It is beneficial in number of health problems, along with being antibacterial in nature; garlic also reduces the excessive oil content of the skin. For application on the skin, crush few garlic cloves and apply this crushed mixture on to the affected skin, secure it with a band-aid and leave for 40-45 min for best results. Garlic therapy is one the best and most effective remedy. We must drink ample of water throughout the day, and along with it make a practice of consuming fresh vegetable juices which also balances the body’s water balance. Now water in the body helps in flushing out toxins from body and moisturise the skin. When the toxins are flushed out, your skin will become healthy and development of acne is reduced. These were some of the most effective natural ways of reducing skin acne & pimples. Along with these tips it must also be kept in mind that you should avoid touching and fiddling with the pimples. This is because touching and pulling the pimple oozes out some fluids and pus which again goes and develops acne at the point of contact. In cases where the infection is very severe and lot of pimples appear without control, the doctor will prescribe a systemic anti-infective medication for controlling the organism causing it.